The Finance Department at Martin Chrysler of Cleveland is here to help you with the finance process on a new or used vehicle. Martin Chrysler’s finance team’s goal is to get you financed, whether that be a loan or Chrysler, Dodge, Jeep, Ram lease. Save money, time, and frustration by working with the finance specialists at our Cleveland area dealership. Martin Chrysler’s finance experts work with various financial institutions on car loans for a Chrysler, Dodge, Jeep or RAM in Cleveland. Our dealership is here to make purchasing an automobile a simple and pleasurable experience. 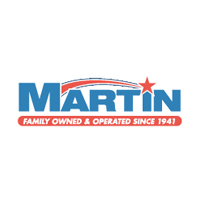 Be sure to view our current finance specials to save even more at Martin Chrysler! Use our online finance application to apply for financing right now. We can help students or those who have hit a rough spot. Call us, or visit us in person by coming to 1006 US HWY 59 S.